The best-selling Samsung Galaxy S3 handset has received its first over-the-air update, with UK users reporting a pair of firmware downloads. The Android 4.0 device is not experiencing any issues, to our knowledge, but that hasn't stopped Samsung pushing out updates promising "Improved stability" and nothing else. The 31.7mb download can be installed over Wi-Fi or 3G. Slashgear is reporting, following the completion of the initial firmware update, that users are being prompted to download another smaller 15mb file, which also promises improved stability. The updates suggest that, even with no complaints from an already sizable userbase, Samsung may have spotted something its not completely happy with. The company has enjoyed some incredibly good, almost Apple-esque feedback from users and critics, so it's good to see it staying on top of matters to ensure that remains the case. 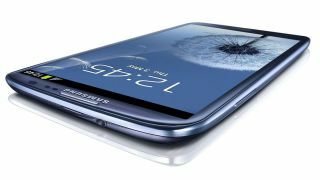 And, if you're still weighing up whether a 4.8-inch smartphone is really for you, check out our Samsung Galaxy S3 review.